Medical experts have raised fresh alarm over rise in fake and adulterated drugs, medicines’ abuse and misuse, misdiagnosis, disease treatment errors and failure as well as morbidity and mortality in the country. They blamed the situation on the delay and failure by the Federal Government (FG) in reconstituting the Medical and Dental Council of Nigeria (MDCN) and the Pharmacists Council of Nigeria (PCN). The MDCN and PCN are responsible for regulation of all medical and drug issues and disciplining of erring doctors and pharmacists in the country. The MDCN was reconstituted late 2018 after over three years of dissolution but the governing council of PCN remained dissolved. Minister of Health, Prof. Isaac Adewole, had on November 9, 2018 inaugurated the new governing council of the MDCN. This was after the Nigerian Medical Association (NMA) had in September 2018 threatened to institute legal action against the Federal Government over its inability to reconstitute the governing council of the MDCN. President Muhammadu Buhari had in 2015 ordered the immediate dissolution of the council of MDCN, PCN alongside that of other agencies and parastatals of the Federal Government. Since then, the NMA and the Pharmaceutical Society of Nigeria (PSN) and other stakeholders in the medical profession, had consistently reminded the government of the dangers of not constituting the councils and how it had negatively affected medical practice in Nigeria. Interestingly, The Guardian investigation revealed that although the newly reconstituted governing council of MDCN has inaugurated its committees, they are yet to hit the brass tracks. One cannot forget the Medical and Dental Council Disciplinary Tribunal (MDCDT) chaired by Prof. Shima Gyoh, of the University of Jos that sat at the old Lagos Secretariat in Ikoyi, Lagos. The tribunal during early 2000s kept doctors in check. They suspended, de-robbed, acquitted and fined erring doctors. Gyoh, former Permanent Secretary of the Federal Ministry of Health during the glorious era with Prof. Ransome Kuti as Minister of Health, is widely recognised for his continued pursuit of better self-regulation by the medical profession. The Guardian investigation also revealed that poor budgetary allocation to the key bodies charged with the regulation of medical and drug affairs in the country such as the National Agency for Food and Drug Administration and Control (NAFDAC), National Drug Law Enforcement Agency (NDLEA), PCN and MDCN has rendered them toothless bulldogs and compounded the problems. President of NMA, Dr. Francis Faduyile, told The Guardian: “The council of the MDCN has been reconstituted and sat for the first time last month where different committees have just been formed such as the committee on education and the disciplinary committee. We have received petitions and complaints and shall start addressing them soon. The immediate past Registrar/Chief Executive of MDCN, Dr. Abdulmumini Ibrahim, had expressed concern over cases of negligence and malpractices among doctors. Ibrahim told journalists that the council recently handled a case where a doctor forgot a towel in the abdomen of a patient. Ibrahim said the menace of fake and unlicensed medical practitioners remained one of the daunting challenges of the MDCN. The registrar called on government and stakeholders to help the MDCN to carry out its regulatory functions by providing funds. Indeed, a study published in Journal of Studies in the Commonwealth (Online) and titled “Communicating Medical Errors in Nigeria: Our Right, their Responsibility” suggests that the world is now more than ever endangered by the prevalence of medical errors. Available data suggest that over 2.7 million people die annually around the globe of causes traceable to medical errors. The case appears to be worse in developing countries like Nigeria where confirmed reports revealed that seven out of every 10 deaths in medical facilities have their roots in medical errors. Medical errors are human errors in the process of care delivery and are significant cause of morbidity and mortality among patients with grave consequences for family and public health. The researchers from the Departments of Family Medicine and Ophthalmology, Federal Medical Centre, Umuahia, Abia State; and Department of Public Health, Federal University of Technology, Owerri, Imo State, noted that a strong body of scientific literature reports the role of medical errors in patient death and is one of the top 10 medical causes of disability worldwide constituting about 23 million disability-adjusted life years. They said there is plethora of research studies on medical errors with variable dimensions of medical errors including error of diagnoses, medication errors, diagnostic errors, therapeutic errors, surgical errors, procedural errors, facility accidents, error of uncoordinated care, never happen events, hospital acquired infections, missed warning signs, referral errors, and untimely discharged from health facility among others. The medical doctors concluded that medical errors occurred among the study participants with the most common error committed being prescription errors. After a thorough analysis, findings published in Journal of Studies in the Commonwealth revealed that medical errors are prevalent in Nigeria and that they are rarely communicated to the victims or their relations. Again, it was found that patients in Nigeria no longer have confidence in their health officers, and the NMA is yet to speed up efforts to stem the ugly tide of medical errors. Based on the findings, the researchers recommended that health officers should take practical steps to avoid medical errors and in the event of any, it should be communicated after taking into account the psychology of the victim. “Again, the NMA should as a matter of urgency look into this worrisome development with a view to stemming the tide. 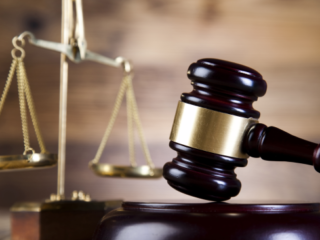 Legal experts and the media should equally learn to challenge vigorously cases of medical errors through legal battles and investigative journalism,” the researchers noted. 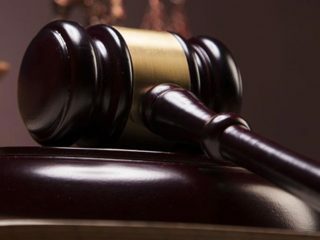 Meanwhile, the MDCN had, in July 2018, said it was investigating not less than 90 medical malpractice petitions filed against some of its members. The Registrar, Dr. Tajudeen Sanusi, has refused fresh efforts by The Guardian for him to comment on the challenges of regulation on rising medical errors and malpractice by doctors. But Sanusi had told journalists that medical malpractice or negligence could involve diagnosis, medication, dosage and health treatment or management of the complainants. According to him, medical malpractice or negligence occurs when a doctor fails to conduct or practice medicine and dentistry, in accordance with stipulated standards. “Medical malpractice occurs when a healthcare professional or provider neglects to provide appropriate treatment, omits to take an appropriate action, or gives substandard treatment that causes harm, injury, or death to a patient. The Registrar said increased public awareness about medical malpractice had turned attention to patients’ safety. He urged patients to also take responsibility for their health and safety, adding that medical negligence involved the actions or inaction of both doctors and patients. “The consequence of medical negligence can be grave, at times leading to the death of the patients concerned, apart from those that can result in disability. “As a patient, it is your duty to ensure that the doctor you see is a registered doctor and not a quack. “You have the right to ask questions and the doctor is duty bound to respond to those questions relating to your health and it is necessary for a patient to give consent to receive any proposed treatment,’’ he said. Sanusi urged doctors to shun acts of unethical practices and make the health and well-being of patients their priority, as stipulated in the oath of the profession. “Previously, cases of medical negligence were very rare in the country, as it was attributed to the absence of proper public awareness. “That is changing now with increasing awareness on patients’ safety and it has become imperative to make quality care a top priority, particularly as ignorance before the law is not an excuse,’’ he said. 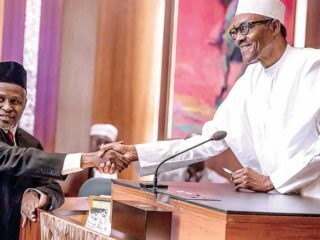 A school of thought believes the situation is made worse because President Muhammadu Buhari is yet to reconstitute the governing council of PCN and assent the PCN Bill. Pharmacists under the aegis of the Association of Community Pharmacists of Nigeria (ACPN) said Presidential assent to the Bill would address the recent public health concerns with regards to the increasing challenges of drug abuse and misuse in Nigeria by ensuring stricter regulation and enforcement by the PCN on erring pharmacists and pharmaceutical industries. They said this development obviously further complicates the perennial woes of fake as well as falsified drugs in the nation and naturally should bother all promoters of good pharmacy practice in Nigeria. Ohuabunwa, however, said the PCN Bill has been returned to the National Assembly for the incorporation of certain observations raised by the ministries. “Thereafter it should return to the Presidency for accent. If you ask me, I firmly believe it is the most important action the government can take to tackle many of the issues bedeviling drug management and control in Nigeria. It will be a major game changer,” he said. The PSN President refused to accept that NAFDAC is overwhelmed. “May be, it is under resourced. It certainly needs more hands and better funding to extend its regulatory oversight across the large expanse of Nigerian territory with 774 Local Government Areas (LGAs). Again we need the enhanced cooperation of the security agencies and the tightening of the laws to provide true deterrence to miscreants,” Ohuabunwa said. To a former PSN President, Olumide Akintayo, the poor state of drug regulation in Nigeria today has generated major challenges including falsified medicines and drug abuse. This twin evil, he said, has become huge public health menace in Nigeria. Akintayo said some of the major reasons Nigeria remains extremely vulnerable remains the poor structuring of the principal regulatory agencies involved in drug distribution in terms of financial and logistical needs. He said NAFDAC and PCN suffer varying degrees of the reflected challenges. The pharmacist explained: “On paper NAFDAC appears well funded but it can do with more. Government intelligence framework needs to be deployed to assist NAFDAC logistics operations in cracking the network of drug fakers in their countries of origin. The factories where death potions are synthesized internationally and locally need to be blacklisted. “Those players who circumvent the officially designated ports of entry for drugs, which often times are the avenue for influx of fakes must face maximum sanctions. “As for PCN, funding and poor logistics have endured since 1958. PCN cannot even afford a full complement of inspectors of its own this it relies on State Ministries of health and other part time inspectors for very salient statutory responsibilities. “The result is despite more proactive efforts of Registrar of the PCN, it has been and will continue to be a herculean task to redress the unprecedentedly high levels of unlicensed drug premises in our country. These unlicensed premises which abound in a million range remains the special purpose vehicle that facilitates unconditional and unrestricted access to drugs in Nigeria. Akintayo said for the PCN to excel the only pragmatic approach is to give assent to the PCN bill immediately. 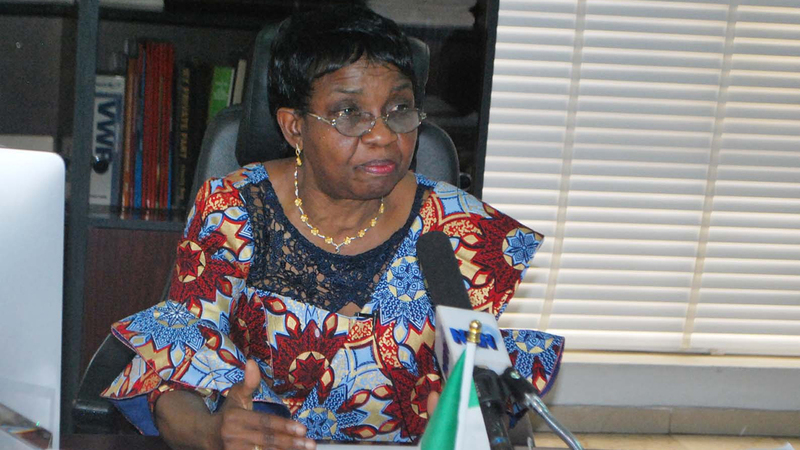 Director General (DG) of NAFDAC, Prof. Christianah Mojisola Adeyeye, told The Guardian that there are many and possibly different factors responsible for rise in incidences of drug abuse and misuse, treatment failure, sub-standard and falsified medicines as well as adverse drug reactions other than weak regulation by NAFDAC and/or PCN. For example, Adeyeye said, the rise in incidences of drug abuse in Nigeria has been attributed to decline in parental care, change in value system, unemployment, porous borders which aids smuggling, uncoordinated drug distribution system, policy defect such as availability of codeine-containing syrup as over-the-counter medicines in the country until a recent change, among others. Furthermore, the NAFDAC DG said when the issue of sub-standard and falsified medicines is considered, evidence-based data shows that most of the drugs found wanting in this regards are imported products that are largely smuggled into the country. She said there is no doubt that some of them could have been as a result of regulatory circumvention and lapses. The pharmacist, however, said a handful number of sub-standard and falsified medicines are also known to be produced in the country by unscrupulous citizens in hideouts outside the knowledge of NAFDAC. Adeyeye said the heinous activities of these unscrupulous elements could not be without the knowledge of their close associates and some persons around the facilities where such heinous activities are carried out. The NAFDAC DG said as a corollary to the common parlance that security is everybody’s business, the good people of Nigeria have the duty to report such activities suspected to impact negatively on human health. On drug misuse, Adeyeye said the healthcare providers, the regulatory agencies with relevant mandates and the media have a lot to do to stem down the incidences through patient/client counseling on rational use of drugs as well as public sensitisation, education and enlightenment. “This is not just a case of weak regulation by NAFDAC and PCN,” she said. Adeyeye said the issue of adverse drug reactions can also be addressed by patient/client counseling and health education by healthcare providers, multi-sectoral collaboration in the area of public sensitisation, awareness creation, public campaigns, education and enlightenment for which the role of the media is key. Adeyeye insisted that NAFDAC is not overwhelmed as being insinuated in some quarters. “Overwhelmed by what?” she asked. The NAFDAC DG explained: “As a health/science-based and multi-disciplinary Agency, we are continually guided by the philosophy that our work can often be done better. Meaning, there is room for improvement with corresponding need for more workforce and better funding of our regulatory activities. “To be overwhelmed is to paint a picture of hopelessness which of course, does not arise in NAFDAC. Things are getting better by the day in NAFDAC. As we speak, the Agency is the biggest in Africa in terms of responsibility, accomplishment and responsiveness. Registrar and Chief Executive Officer (CEO) of PCN, Elijah Mohammed, told The Guardian that several factors contribute to the menace of drug abuse and misuse and these include chaotic drug distribution system which in effect promotes easy access to drugs, proliferation of unregistered pharmaceutical premises particularly the patent and proprietary medicine vendors, poor parenting, peer pressure, globalization among many others. Mohammed said the issue of chaotic drug distribution system is key among other factors and it is compounded by the existence of open drug markets and proliferation of unregistered pharmaceutical premises particularly the patent and proprietary medicine vendors. These, he said, can be associated with the inconsistency in the regulation of patent and proprietary medicine vendors (PPMVS). The registrar said the authority to grant license to the PPMVs was at several times moved from one institution to the other. He explained: “From the creation of the PPMVs, the authority to grant license was with the then Pharmacy Board of Nigeria which later transformed to become Pharmacists Board of Nigeria before it now becomes PCN in 1992. However, at certain times the authority was moved between Federal Ministry of Health, State Ministries and worse still the Local Government Authorities, before the last reversal in 2003. “This inconsistency resulted in multiple licensing authorities at different times in which case uniformity of standards was a great challenge. However, with the reversal of regulation to PCN by the Honourable Minister of Health in 2003, the vendors haven enjoyed the previous regimes where anything goes mobilised their association into strong body by seeking various courts to stop the reversal of regulation back to PCN. The registrar said the Federal Ministry of Health, PCN and NAFDAC are working assiduously to actualise the full implementation of the National Drug Distribution Guidelines and the closure of the all open drug markets across the country, which are major sources of substandard and fake products. Similarly, Mohammed said the Codeine Control and Other Related Matters Working Committee, which was a multi-ministerial, multi-agency and multi-sectoral platform to which the PCN served as secretariat has developed several strategies to address several issues associated with the problem of drug and substance abuse in Nigeria. He said the report of the working group submitted to the Honourable Minister of Health in April 12, 2018 informed the decision for the press release by the Federal Ministry of Health in May 2018. Mohammed said the Presidential Committee on drug abuse inaugurated by the President, Muhammadu Buhari is looking at several issues associated with this problem and will make appropriate recommendations to the Federal Government on way toward. He said PCN was invited to make presentation to the committee. The registrar said the bill has a lot in it that can address the situation we have at hand as it relates to drugs and substance abuse among many other benefits in the bill. Mohammed said the bill is consistent with similar pharmacy regulatory laws in other commonwealth countries; makes provision for improve access to medicines that are of high quality; effective and affordable from regulated pharmaceutical premises through its satellite, and hub and spoke concept models; it has provision for adequate sanctions; and it is all encompassing having brought on board all players in the pharmaceutical landscape including PPMVs and also clearly prohibits sale of drugs in certain locations. National Chairman of ACPN, Samuel Adekola, and National Secretary of ACPN, Abosede Idowu, in a joint statement said the PCN Bill 2017 should be assented to because it is very consistent with similar laws in the Commonwealth league of nations, where regulatory laws and statutes have become very sacred in keeping pace with the norms and ethos of public health. The community pharmacists said it is a statement of fact that many less endowed African nations have today polished their pharmacy laws to meet global best practices such that the terminal consequences of poor statutes, weak enforcement, and so on which engender easy access to drugs to promote the vicious cycle of drug abuse and misuse, falsified drug syndrome among others are gradually being eliminated in these climes. “This is the same purpose the new Pharmacy Council Bill is intended to achieve,” they said. The pharmacists said another reason why the bill should be assented was because one of the philosophies of the National Drug Policy 2005 is to guarantee that Nigerians have access to safe, efficacious and affordable medicines. They explained: “This is a cardinal responsibility of every Government to its citizenry. One of the major benefit packages of PCN bill is that it opens a unique window of competence driven service rendition at all levels. The new satellite pharmacy concept gives us the prospects of additional pharmaceutical premises in hundreds of thousand ranges manned by registered pharmacist. “The Bill provides that any pharmacist who has over ten year post-qualification experience can own a satellite pharmacy not withstanding his primary practice option. What this does is that professional service points in pharmacy will increase from about five thousand we currently have to over one hundred thousand in Nigeria. “These satellite pharmacies in turn have mandate to provide oversight in a manner of hub and spoke model over the patent and proprietary medicines vendors thereby improving their regulation. The ACPN also noted that the PCN Bill 2017 clearly prohibits sale of drugs in authorised places such as open drug markets, this in essence is in tandem with the National Drug Distribution Guidelines (NDDG) which is the official government tool structured to impose decorum in the unwieldy drug distribution channels which Nigeria currently contends with. They said, today, as it stands government moves to replace the unlawful open market structures with Coordinated Wholesale Centers (CWC) need to be grounded in lawful templates which the PCN bill guarantees. According to the pharmacists, the responsibilities of the critical stakeholders and in particular our regulators like PCN, NAFDAC, NDLEA as well as police will automatically be enhanced once all the necessary reforms are formalized. The ACPN said the existing pharmacy laws are laced with very substantial antiquity because the first pharmacy ordinance was enacted in 1887 and this has been tinkered with severally through a series of metamorphosis in evolving Acts till the modern-day variants like the PCN Cap 17 LFN 2004 and the PPA Cap 535 LFN 1990. The consequences of this acts of negligence, they said, remains the vulnerability of the PCN and Federal Government and the Honorable Minister of Health to unending litigations, which reduces the efficiency of the PCN in carrying out its statutory mandate. The community pharmacists said the PCN bill in question has also removed all ambiguities with regards to offences and relevant commensurate sanctions applicable to all players. This, they said, is particularly significant because owners of unregistered premises, those who sell products they are not legally licensed to sell and those who violate the condition precedence attached to their licensure will better appreciate the consequences of their unlawful endeavors and acts. According to the ACPN, flowing directly from above, the PCN bill particularly compels pharmacists to show more responsibility in their professional practice. “The need for discipline is showcased at greater heights because the disciplinary tribunal is geared to wield the big stick on erring pharmacists and pharmaceutical premises in the best interest of consumers of health,” they said. The community pharmacists said the PCN bill also has the unique feature of unhindered empowerment as all professionals and their cadres of practice are registered as distinct legal entities. They added that the PCN bill would therefore feature for public consumption a gazette of registered pharmacists, pharmacy technicians, registered retail, wholesale, importation, manufacturing, CWC and satellite pharmacies. The ACPN said the peculiar registration format would also highlight all patent and proprietary medicines vendors’ license holders in Nigeria for proper scrutiny. Consultant pharmacist and former Chairman of ACPN, Mr. Albert Kelong Alkali, told The Guardian that the challenge of drug abuse and misuse is directly traceable to the many defects associated with the drug distribution channels which encourage unlimited and easy access to all categories of drugs including Pharmacists initiated Medicines (PIMS) and Prescription Only Medicines (POMs). Alkali said the pragmatic and best feasible option is to appropriately regulate and control the various pharmaceutical premises, deal decisive blows on the plethora of unregistered pharmaceutical premises which are well over two million compared to the less than 6,000 pharmaceutical premises and 20,000 patent medicine vendor duly licensed by the PCN to legitimately handle what should normally be a professional endeavour. He said government must also strengthen regulatory procedures modulating the endeavours of NAFDAC and NDLEA. The NAFDAC mandate dictates it must ensure circulation of safe drugs, water and other regulated products. *Diligent implementation of the NDDG with particular emphasis on the closing of existing drug markets on June 1, 2019 to pave way for the emergence of the Coordinated Wholesale Centres (CWCs) in Lagos, Onitsha, Aba and Kano. *The CWCs, which would have PCN, NAFDAC, and the Police within have prospects of better regulation and control; which has always been impossible in the existing market structure. *Government must breath down heavily on the operators in the markets, as it is apparent some are still not ready for a paradigm shift. *While the CWC structure is taking shape in Lagos and to a lesser extent in Onitsha, it cannot be vouched for in Aba where operators appear dodgy and non-committal. *Even the training schedule for operators has not been possible in Aba despite a January 1st, 2019 deadline. *The CWC structure in Kano also appears to be slower than others, but there are assurances that the operators would respond to the ace of regulators. *There is obvious paucity of funds associated with funding the regulatory activities of PCN, NAFDAC and NDLEA. *Rather than spread lean and ineffective budgets on new bureaucracies, it might make a lot more sense to appropriate meaningful budgets to the existing regulatory agencies listed. *The Federal Government and State Government must approve of special funding for the Federal and State task forces on fake and counterfeit drugs which remains the statutory and regulatory instrument to remove out rightly all structures and places where drug sales are prohibited in Nigeria. *Government must also adequately enhance professionalism in the health sector through discouraging open-ended access to all cadres of drugs including potent ones with narrow therapeutic windows. A consultant pharmacist, Lolu Ojo, said though regulatory and enforcement agencies have done their parts in addressing the drug situation in the country, they have also not done enough as the problem still lingers. He agreed that the issue of underfunding has affected most of the tools needed for effective discharge of the agencies duties. “However, it is a common knowledge that resources available to government agencies or parastatals are largely sub-optimised. My advice to these agencies is to adopt a more prudent and pragmatic utilisation of available resources. We will not achieve anything if we cry ad-infinitum about shortages without being able to showcase achievements with the so-called little resources available. “There are certain things that can be done to improve service delivery without spending so much money. It is important to prioritise work, reduce waste and improve on expenditure efficiency,” he stressed. On his part, Kayode Nelson of the National Association of Industrial Pharmacists (NAIP) said there is little laxity on regulation of these drugs, which are abuse, especially by regulators, whose commission is to ensure the nation is rid off of falsified drugs menace. He said people continue to bring in these drugs into the country despite the regulations and enforcement against them by these agencies. “We have one or two drugs in the country that are not supposed to be and yet people are bringing it in and so we are going to blame the regulators. Where were they and what are they actually doing? Nelson said the pharmaceutical bodies are doing their best in sanctioning erring members, but proposed stiffer penalties and sanctions, which he said would go a long way in addressing these drug menace in the country. He stressed that in some countries, sanctions for people being caught with falsified drugs and illicit substance illegally, is outright death sentence, adding that if such is imposed in Nigeria, as well as create an awareness on it, the level of feedback would be surprising, as Nigerians would desist from the monstrous practice. “Most Nigerians don’t even know that there are some laws existing for certain categories of offences, so if we can legislate laws that can be prohibitive in nature, and strong enough to actually dissuade or prevent people from even thinking about it, this will to go a long way. 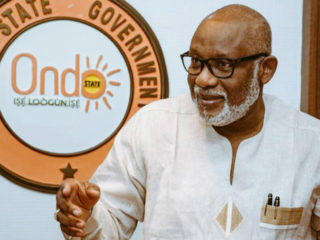 So there must be adequate legislature and awareness created for such a situation and I am sure we would have a safer environment when it comes to drugs,” he added. Head of Party, United States Pharmacopeia (USP) in Nigeria, Dr. Chimezie Anyakora, told The Guardian that these issues could be addressed by ensuring steady supply of affordable, quality-assured medicines in communities across Nigeria. Anyakora said the importance and focus of the Promoting Quality of Medicines (PQM) programme in the country is working closely with pharmaceutical manufacturers, to correcting for market failures and addressing supply chain issues. He said: “The PQM programme is funded by the U.S. Agency for International Development (USAID) and implemented by the USP, a nearly 200 year-old American nongovernmental organisation whose mission is to improve global health through public standards and related programs that help ensure the quality, safety, and benefit of medicines and foods. “In Nigeria and many lower- and middle-income countries throughout the world, the PQM programme is working to prevent a major health challenge—preventing poor-quality medicines from reaching patients. In the context of the worldwide and regional statistics, by the World Health Organisation, Nigeria is one of the PQM programme’s focus countries. Thus, PQM supports the country with expertise from both its headquarters in the U.S. and a local office in Lagos. This intense level of assistance has been going on for the past five years. “One of our main objectives is to ensure the sustainability of our activities when the programme ends in September 2019. This will come through a combination of country ownership and collaboration with future programmes like PQM. “The PQM programme works with governments to strengthen regulatory systems and with manufacturers to increase the supply of quality-assured medicines. Like in any programme funded by USAID, PQM considers the in-country organisations it supports to be partners and seeks to meet those organisations’ goals.